Welcome to Regal Pediatrics located in Rochester Hills! Our mission is to partner with families for exceptional medical care with trust and respect. 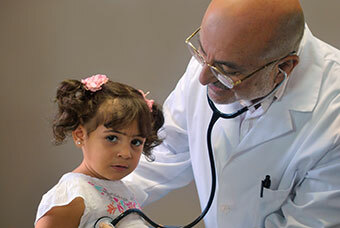 Our doctors have over 25 years of experience in general pediatrics and primary care. We are here to serve the medical needs of our community. Regal Pediatrics is focused on providing high-quality medical care to our patients’ satisfaction – we provide urgent care and same day appointments for our patients. We specialize in Pediatric, Family Medical Care (newborns, toddlers, tweens and adolescents). We provide preventive medical services and urgent care.